This low fat pumpkin pie we're making is a Traditional American Pumpkin Pie with a recipe that harks back to Colonial Days. This is from our collection of easy recipes that look fantastic yet takes minimal effort. You've arrived at this page, the last section of the tutorial for this low fat pumpkin dessert where we decorate the pie we've just baked. 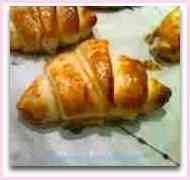 Bake the filled pastry case in a preheated oven for 50 minutes. 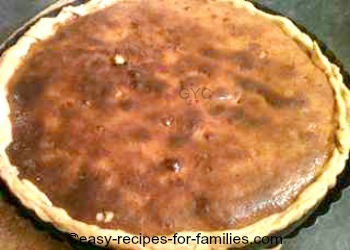 Allow the pie to cool completely. 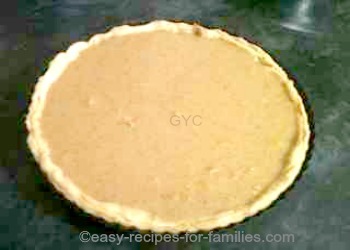 If you need it cooled and decorated in a hurry, you can speed up the cooling process by refrigerating the pie. 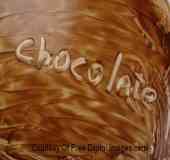 In the meantime, prepare the low fat cream topping. 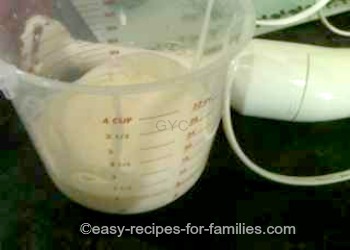 Pour the thickened low fat cream into a jug, as in the photo. 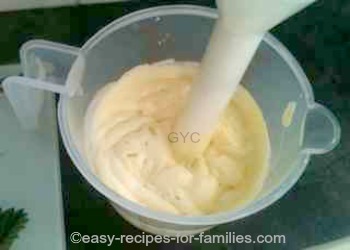 Using a hand held blender, whip the cream till it is thick. You'll notice that the cream will increase in volume. 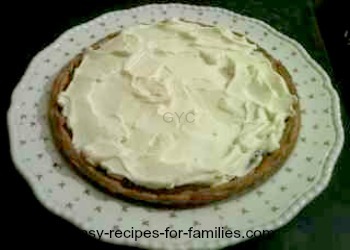 When the pie is cooled, remove the walls of the removable pie plate, placing the base with the pie on a serving platter. 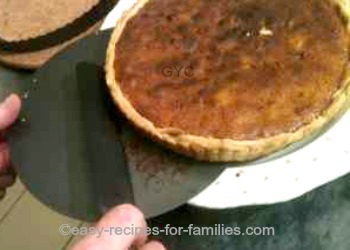 Remove the metal base using a blunt flat instrument such as a spatula to lift the pie away from the base. 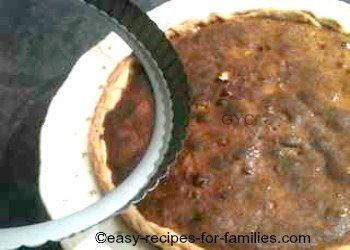 Slide the pie onto the plate while removing the base. 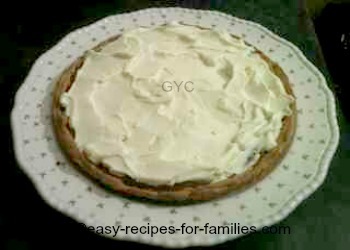 Spread the cream generously over the top of this pie as a topping BUT only when the pie is completely cool. This lovely low fat pie is now ready to be served. Look at this - isn't this easy pie just sensational? 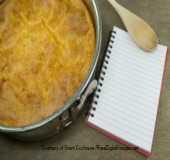 This recipe which harks from colonial days while incredibly simple to make, is just sensationally delicious! Enjoy this sweet treat as a popular dessert after a traditional meal such as this moist roast pork with crunchy crackling. This is yet another No Fuss dinner recipe that looks and tastes divine! 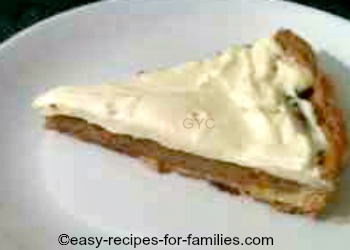 Leave Low Fat Pumpkin Pie and browse through hundreds of delicious easy recipes with the authentic homemade touch! 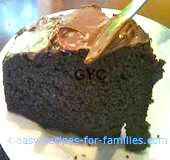 Easy Recipes For Treats Your Family Will Just L-O-V-E!